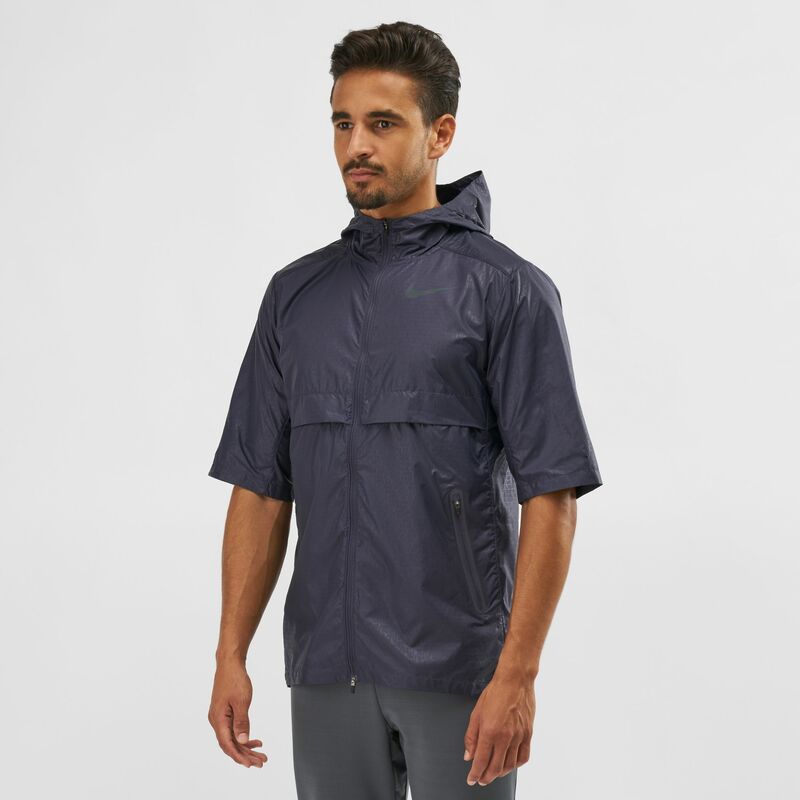 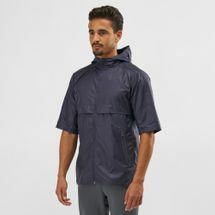 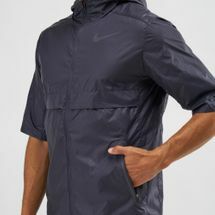 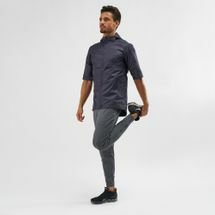 The Nike Shield Running Jacket for men is a great layering piece for wet weather. 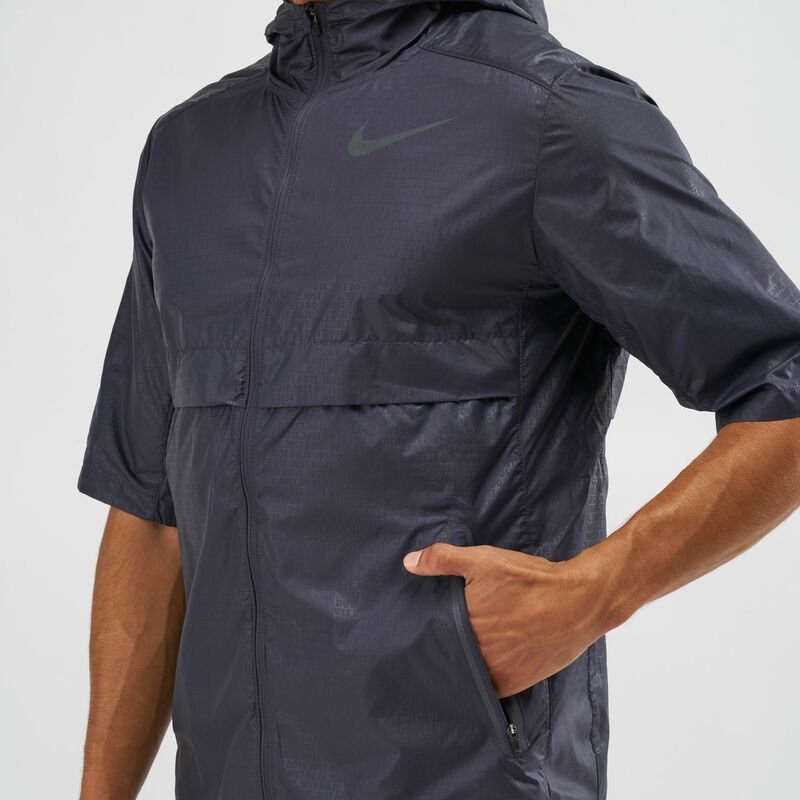 The Nike Shield fabric resists elements like wind and water, and it has a two-way zipper, adjustable hood and a venting system. 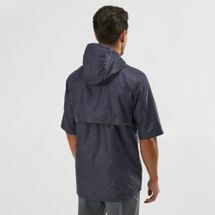 It has hand pockets with locking zippers for a secure storage.